We aren't talking about Nutella---we are talking about 100% natural and organic hazelnut, pistachios, and chocolate ground down to perfection---it's so good it's almost sinful! Your guests won't soon forget. Made not only in Italy but in Tuscany. Contact us today to get your personalised treats for your wedding favours. 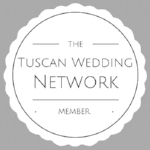 Avaliable exclusively at Tuscan Wedding events.